Let's be frank, right from the start: Harry Potter and the Goblet of Fire is an inferior movie to Harry Potter and the Prisoner of Azkahban. 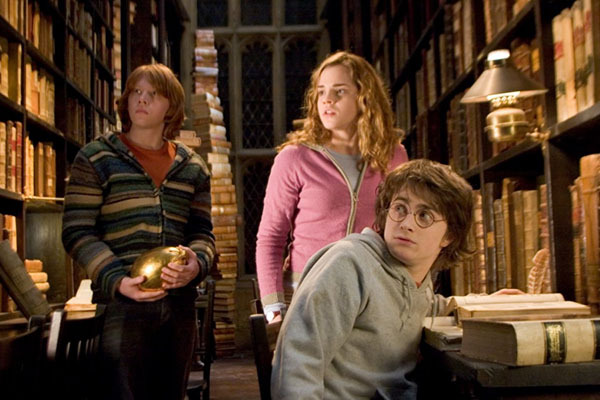 The third film in the Harry PotterFirst released as a series of books (starting in the UK before moving worldwide), the Harry Potter series gained great acclaim before even becoming a series of successful movies. Now encompassing books, films, a prequel series, and a successful two-part play, the series even now shows no end in sight. series is a masterwork, a truly epic fantasy movie that manages to elevate a floundering series. Director Alfonso Cuaron is an artistic genius and his one film in the series is probably the best of the run. It's a tough act to follow no matter how good the next film could have been in its own right. That doesn't even take into account that the book this fourth movie is basically unfilmable as a single adaptation. It's one of the longest books in the whole run, and has a ton of active main plots and side plots all going on at once. To film this book properly the movie would either have to ditch everything that wasn't of any consequence to Harry (Daniel Radcliffe), or be a two-, three-, or four-part movie just to make it all work. If every there was a case to be made that the Harry Potter books should be filmed as TV shows instead of books, it would be Goblet of Fire. The main plot of the story (and the only plot the movie is at all concerned with) focuses on the Tri-Wizard Tournament. This competition held regularly (although we're never told how regularly in the movie) pits three magic schools (and, presumably, the only three in the world) in direct competition with each other for bragging rights. Each school will put forth one champion to run through a series of three trials all for their winner to earn the Tri-Wizard Cup. 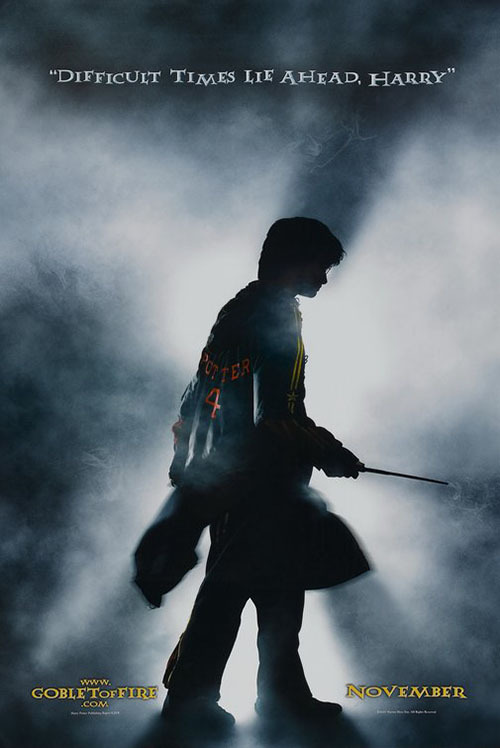 Due to the dangers ramping up in the world (i.e., Voldemort and his band of evil Death Eaters), only students aged 17 and older are allowed to put their name in for a chance to compete -- Harry, being 14, isn't allowed in. Except, when the names are chosen, Harry's name is somehow chosen (along with three other champions), and Harry is forced to join. And then the competition begins. 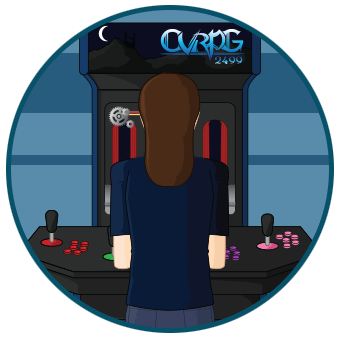 Note that the competition takes place over the course of the entire school year, but we only ever really focus on the events and not anything else going on at the school. 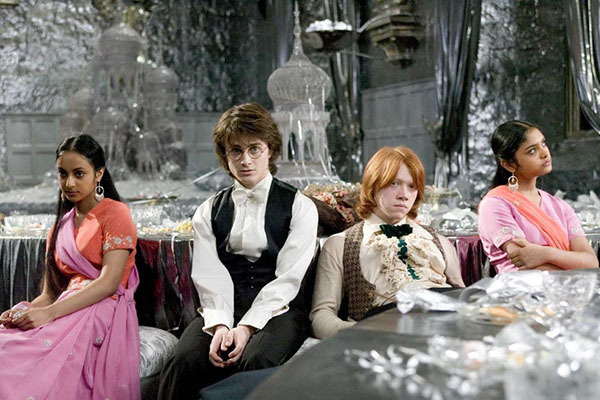 I think we get one class of Defense Against the Dark Arts, and then a single school dance (possibly the first and only dance ever held at Hogwarts) and the rest of the time is spent watching the tournament. All three events of it. What are the students doing the rest of the time because they clearly aren't in class at all. The introduction of the Tri-Wizard Tournament also complicates our understanding of how the Wizarding World works. Three schools compete in this tournament, so are we to assume they're the only schools in the world? One is Hogwarts, the British school, and then there's a French girl's school and a Russian all-boys academy. Are there other schools and they just don't compete? If this tournament is so prestigious, and there are other schools, don't you think they'd want in as well? The prequel series, Fantastic Beasts, establishes there are Wizards over in the United States, so why aren't they invited to this as well. The basic rules of the tournament aren't well established which complicates our understanding of the world building going on here. There's also the fact that the three schools in the competition are clearly regional academies. If we assume, like we have to, that French school is an all-girl academy and Russian one is a sausage fest, what happens to witches and wizards of the wrong gender living in those countries? Are they just S.O.L. or do they all get shoved over to Hogwarts? There's a lot of questions this movie raises and none of them make sense at all. It's even worse when you remember that once Harry's name comes up from the goblet, he has to compete. It's a binding contract in Wizard Law, so Harry can't just take a dive or not show up -- he has to compete to win or he'll, what, go to Azkabhan? What happens if he just slaggs off and loses every event? What can they actually do? Again, it's not elaborated upon, so we have no clue how binding this goblet really is and if it all matters. Beyond which, is it only Wizard Law in Europe or does Wizard law stretch world-wide? They've now shown us there's more than one region for magic studies so they each have their own magic laws as well? How does any of this work? I can't remember if any of this was better explained in the book, but I'm also not going to go back and try to read that long tome again. The movie should be able to convey all the important information clearly with my having to go back to a non-movie-continuity tome to get my answers. It doesn't (not even a few passing notes that could be said off-hand), leaving me more confused than intrigued. Not that the movie does a good job with anything not directly tied to the tournament in question. Both Hermoine (Emma Watson) and Ron (Rupert Grint) get to sit on the sidelines the whole time, props to be moved around while Harry goes off and has adventures. I do remember they had a lot more to do in the book, but since all their plot lines were excised to keep this film under three hours, the characters are reduced to window dressing. Not that Harry is treated that much better. Sure, he gets to move around and do things from time to time, but this is really only in reaction to other forces. Thee Goblet spits out his name even though he didn't put it in there, so he has to compete. He has to fight a dragon, but the solution to it is given to him, just like the solution to the next puzzle. Even the final event, a giant maze with the goblet in the middle, is really in service of a bigger plot -- the cup is enchanted to act like a teleportation device. Once someone grabs it, they're taken to Voldemort's home. 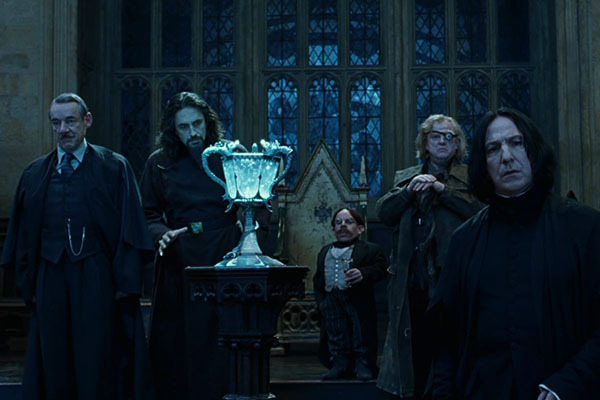 Because Voldemort needs Harry for a spell to revive the Dark Lord, everything in the tournament is secretly engineered to force Harry to the final confrontation. I have to assume that even if Harry did try to slag off and not compete he would have been forced into it regardless, somehow ending up at this same final point no matter what. Essentially, this whole convoluted scheme -- enchant a cup, make is so Harry grabs the cup, and then send Harry to Voldemort -- robs Harry of his agency. Instead of finding out that Voldemort is at his ancestral home, which then motivates Harry to go there and try to track the Dark Lord down, everything simply happens to him. Why have Harry earn a confrontation with the Dark Lord when he can just be a pawn pushed around the board. Worse, the plan make no sense. There's never any reason given for why Voldemort has to be revived at that place, or on that day, so presumably his agents could have snuck into Hogwarts, knocked harry out, kidnapped him, and performed the same ritual any time they wanted. All this secret plotting, ruining a tournament, and enchanting a trophy completely unnecessary. It's "Bond Villain" levels of stupid planning. And, speaking of Bond Villains, Voldemort just can't help by monologue, on and on. He's supposed to be the most powerful wizard in the world, but all he does is talk. He talks so much he actually gives Harry the upper hand so the kid can escape from what was supposed to be his final confrontation with Voldemort (at least, if the Dark Lord had anything to say about it). For a guy that's supposed to be so smart and powerful, the best, most evil in the land, he's really dumb in this movie. 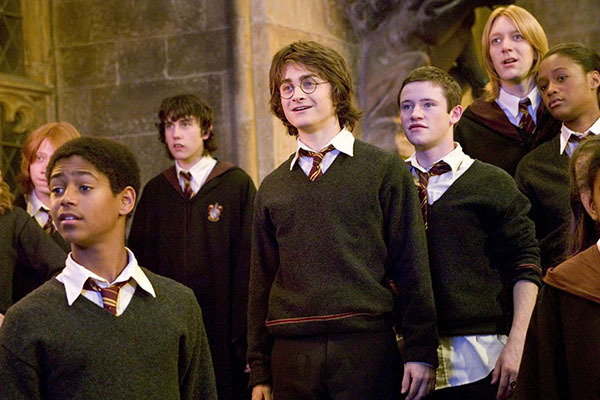 And I think that really gets to the heart of the issue with Harry Potter and the Goblet of Fire: the movie is really well made, fleet in its plotting and competent in its direction, but it strains under the needs of the story. Nothing in the actual tale justifies the existence of this film -- no matter how good a movie is, if it doesn't have a good story it's going to fall apart. Goblet lacks that solid story and I'm not sure how to fix that. Short of filming ever scene from the book, and adding in more to answer all the questions the plot raises, I don't see how you can fix that. 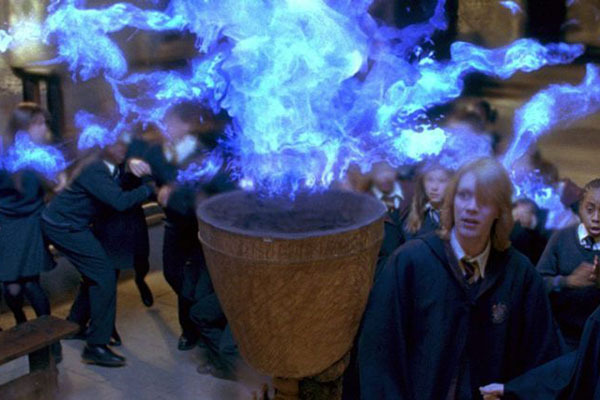 Maybe down the road someone will make an HBO series based on Harry Potter and at that point Goblet of Fire can be adapted properly, given its due to really let the story shine. This movie is not that adaptation.